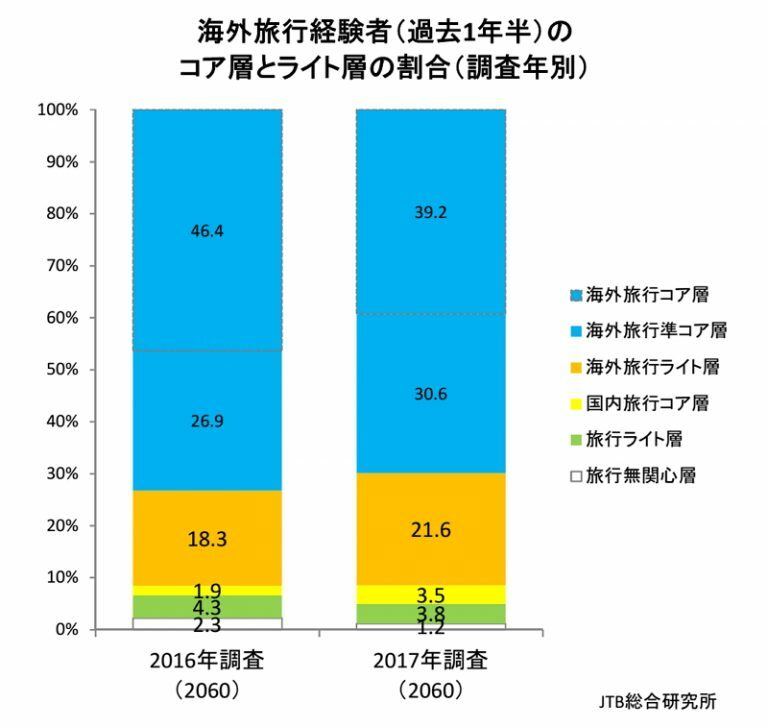 The recent JTB Tourism Research & Consulting’ survey on the overseas travel trend in Japan finds that the real number of Japanese overseas travelers in 2017 was 11.37 million (17.89 million in total), and the real departure rate was 9.1% (14.4% in total). Both of the results were record-high, exceeding the previous records of 11.24 million and the departure rate of 8.8% in 2012. Regarding willingness to travel overseas, high ratios found in ‘willing to increase overseas travel frequency (46.8%)’ and ‘willing to travel overseas in the future (19.8%)’ among post-Millennium generations from 18 to 22 years old. 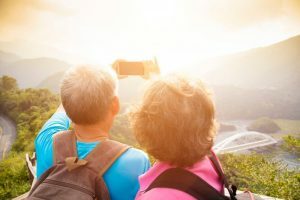 On the contrary, among the baby boomer generation from 68 to 72 years old, high ratios were found in ‘willing to reduce overseas travel frequency (16.6%),’ ‘not willing to travel overseas any more (21.5%)’ and ‘never been overseas, and not willing to travel overseas in the future (11.9%).’ Among the older generation from 73 to 80 years old, 70.9% were negative about overseas travel.